Behind the high wooden fences that surround the DE BRUIR workshop on the outskirts of Kildare town, an interesting experiment is taking place. Garvan de Bruir, the leather craftsman who started his career in woodwork and furniture making, is branching out yet again, using his traditional craft and self-taught skills to fashion a range of high-end wax jackets and gilets. The garments feature the quilting patterns and stitching which are a signature of some of his leatherwork, but are this time on waxed cotton, trimmed with leather collar and cuffs, to create hard-wearing, stylish outerwear. The jackets and gilets have evolved and been tested over the last couple of years. They are made to order with a three-to-four week lead-in time, and will be officially launched at this week’s Dublin Horse Show. De Bruir is and has always been his own first client — he designs for his own needs and tests to destruction and tweaks and refines his products until they work for him. Longevity is key, changing fashions not even a consideration. Simplicity and beauty of structure are paramount. Although his work has an undoubtedly masculine feel, his bags could be toted and jackets worn by men or women — anyone who likes their unfussy, function-first aesthetic. De Bruir’s love of crafting things with his hands began young. When he was a 17-year-old Newbridge College student, he spent six months on a rugby exchange at Auckland Grammar School. He spent much of that time in the school’s workshop, which he says was “an amazing facility”. The love of woodwork lead to a college course in High Wycombe, between London and Oxford, in the old furniture-making heartland of England. It has a great tradition in woodworking and associated trades. His graduate work won a ‘Future of Design’ award in London. Yet coming home to Ireland was always the plan. De Bruir had been collecting equipment over the years and slowly bringing it back to establish his design studio and contemporary craft workshop on the Monasterevin Road just outside Kildare town, on land beside his family homeplace. The bags, now the DE BRUIR signature, evolved from a genuine need. Then focused primarily on furniture design and construction, de Bruir needed a laptop bag and he had the leather and the way to construct one in his workshop. 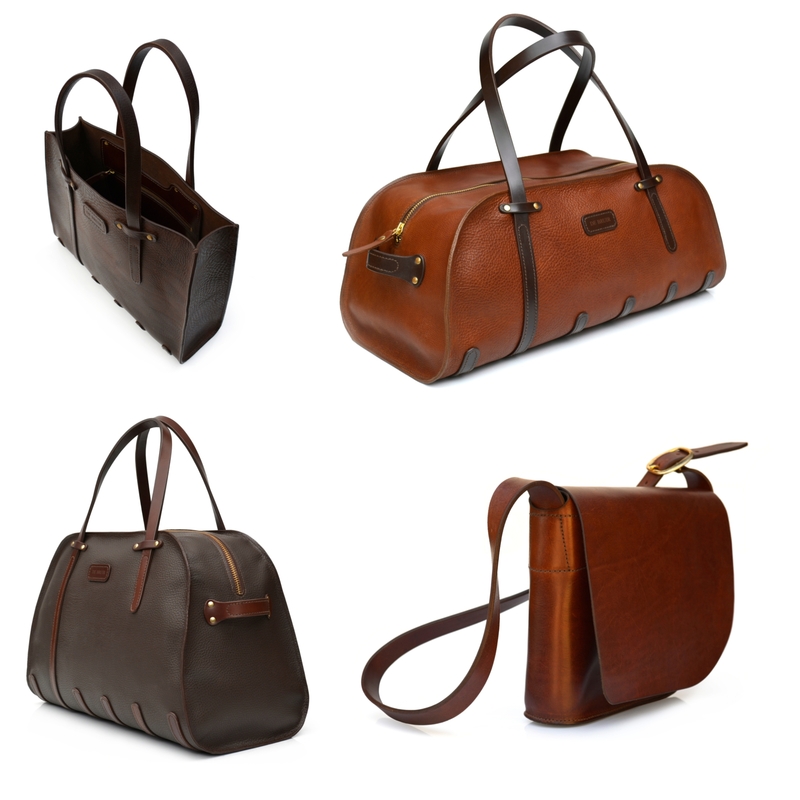 Those who saw it liked the simple, strong aesthetic and these leatherwork creations have become the mainstay of the DE BRUIR brand.The bags are created from a single piece of leather. Without seams to rip or pockets to fray or frippery to cause distraction, their simplicity is the brand’s trademark — likewise their signature looping handles and straps, again created from a single cut of leather, and the sleepers which protect the bottom of the piece. “We’re just trying to achieve design classics that will in 20 years time be as simple, and as relevant, as opposed to following trends. Because I’m building and crafting things to such a high quality, I don’t want them to physically survive but to be out of style, out of fashion. The skill as a designer is to create objects that will be desirable over the long life that we know they are going to have,” said de Bruir. De Bruir’s leatherworking skills are mostly self-developed, transferred from his furniture-making abilities. He works with one assistant and while he has investigated outsourcing some jacket-making in the future, bag design and production will stay firmly in-house. His workspace has tailored itself around the needs of the business, spreading out to encompass an unusual, cocoon-shaped self-built wooden workshop, a showroom, and another space which now houses the jacket-making operation. “As a designer, if I’m detached from the product, it’s difficult to invent and reinvent future or improved editions. My proximity to the production, and being hands-on as a craftsman, prompts more innovation and design, and I guess that’s the core of what the studio’s about. Although the DE BRUIR range includes purses and pouches, leather scarves and bow ties, the most striking pieces are the large luggage bags, kitbags and backpacks. De Bruir indicates his customers are those who are aware of what is available in the top flight of brand names, but who have the nous and discernment to want to invest their money in craftsmanship, rather than an easily identifiable label. Buying such a bag is not an impulse purchase — customers may have to wait for a special birthday or event to justify it. De Bruir is passionately against a throwaway culture, which he sees developing even for expensive luxury goods. He believes in crafting an object in leather that, if it needs repairing in 20 or 30 years’ time, can and should be brought to the local cobbler — anywhere in the world — to be made good as new. De Bruir loves to work with the character of the leather raw materials, rather than fight it in the name of homogeneity, which big-brands must do in the name of consistency. “The material you’re beginning with has character; your final bag, over its life, will gain great character as well. “So for both of those reasons, your bag is very individual to you over its life. A bag is kind of an extension of the owner, it’s so heavily relied on, an affection grows and there’s a pride in how it’s serving over the years. A buzzword in luxury shopping these days is brands’ rediscovery of their roots, and it is not lost on de Bruir that while his brand looks set to grow and expand, it is just now at the stage its competitors are celebrating. De Bruir is ambitious. He would love to see his bags being recognised on sight as DE BRUIRS, much as one can now recognise a Dunhill or a Boss bag, rather than just be known as the output of a craftsman working in a wooden studio in Kildare. Yet he is adamant that he wants recognition to follow from adhering to his principles of creating structurally-sound, beautifully crafted leather objects. “It’s trying to be clear about what the collection stands for, and not ever having to ‘rediscover’ that authenticity,” he said. Almost 120,000 YouTube users have logged on to see Kildare leatherworker Garvan de Bruir teach a Mercedes-Benz crew how to craft a leather bag from scratch. The video is part of the prestigious car giant’s Original Craftsmen series, for their MyVan.com website, and his was the only Irish craft studio chosen to take part. After an email about the project came out of the blue from Mercedes HQ in Stuttgart last autumn, a seven-strong crew travelled to film presenter Nick Karry driving across the Curragh and into Kildare town to try his hand at bagmaking under Garvan’s tutelage. 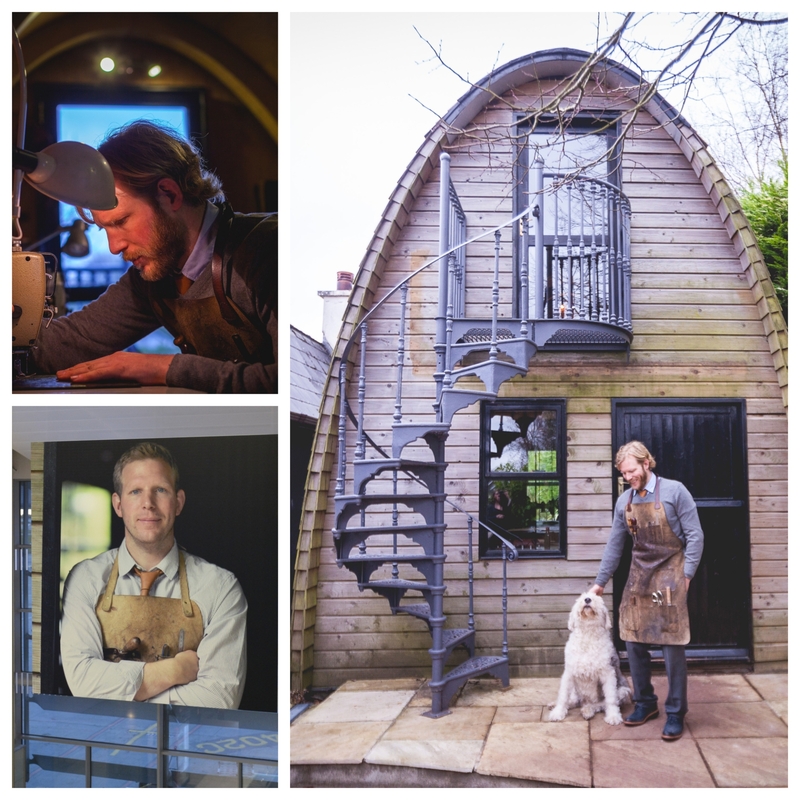 “There is heritage origins to what I do, and a relevance locally, but there is an adherence to mastering a traditional trade but in a contemporary environment, and that is what they really liked, and they want to celebrate craftsmanship and independent craftsmen that are pursuing particular values and principles,” said the Kildare man. The video is a fascinating look from a novice’s point of view at the putting together of a signature DE BRUIR item. A chance to take part in this year’s Wearing Irish fashion showcase last May led Garvan de Bruir to New York in the company of nine other creative Irish designers. The initiative is the brainchild of Margaret Molloy, a New York-based businesswoman passionate about promoting contemporary Irish fashion and design abroad. Wearing Irish started as a social media campaign to promote this country’s design, as Molloy in March 2016 wore items from Irish designers and accessory makers every day. The movement has grown, and this year some 170 designers competed for just 10 spots on the trip Stateside. They took part in fashion salons and talks, networked and forged connections in the all-important American marketplace. 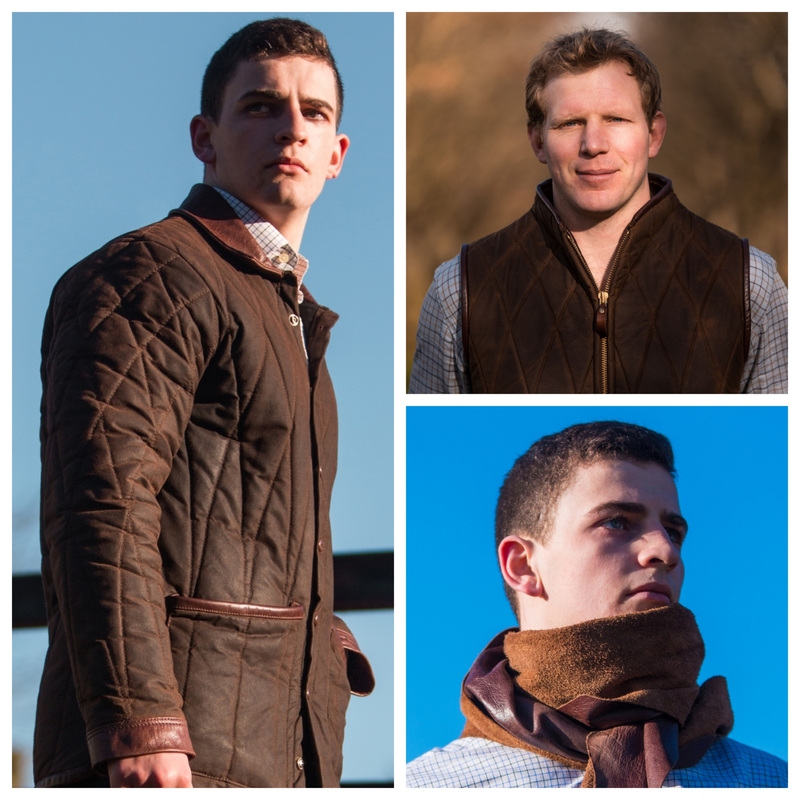 The latest DE BRUIR wax gilets, in fact, went down a storm in NYC — it turns out that this item of Irish country workwear, called a ‘vest’ Stateside, is the unofficial uniform of the midtown financial district city trader. The designers also had the privilege of having details of their mission, and the names of their companies read into the US Record of Congress during their trip by Pennsylvania representative Brendan F Boyle. With DE BRUIR customers coming from all over the world, such international opportunities are an important part of positioning the Kildare brand abroad. De Bruir is also a familiar face to frequent fliers passing through Dublin airport’s Terminal One, where an image of him at work is included among a display of Irish craftspeople. “It’s great to get recognition like that, and to have the studio advertised as you get off your flight,” he said.